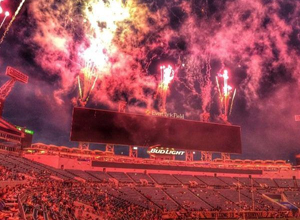 EverBank Field will be known as TIAA Bank Field later this year. They team confirmed today that TIAA Bank Field will be the official name of its home stadium, replacing EverBank Field. The name change comes after the sale of EverBank to TIAA in June and the new parent company will be renaming all EverBank locations as TIAA Bank. Even though the name change was announced today, there were no details immediately available about who will be paying to change the signage. It is expected that the name change will be made by the upcoming Jaguars preseason. Jacksonville-based EverBank acquired the naming rights to the stadium in 2010, four years after the naming rights deal with Alltel lapsed. (The stadium was known as Jacksonville Municipal Stadium in the interim.) In 2014, the company extended its naming rights deal through 2024. The European Street Café in San Marco that was damaged by Hurricane Irma floodwaters in September has undergone extensive restoration and is now reopened. The restaurant building was left standing in two feet of water. Most of the walls, counters, appliances, parts of the ceiling, and décor has been replaced. Renovations at the European Street Cafe at 1704 San Marco Blvd. cost about $650,000. The renovations, which took almost five months, left the cafe layout about the same but with a face-lifted decor in purple and yellow. Larger tables have been installed as well as new windows, ceilings, light fixtures, kitchen equipment and televisions. European Street Cafe, encompasses four restaurants throughout Jacksonville. The Riverside location opened in August 1992, San Marco in August 1996, Beach Blvd. in March 1999 and Jacksonville Beach in 2005. Many things have changed at European Street Cafe over the decades. The menu has expanded to include more than 100+ items—sandwiches, soup, salads and appetizers—with a variety of vegetarian and vegan options. NBC will present 176 hours of live coverage, and its primetime coverage begins on Thursday, N Feb. 8, at 8 p.m. ET, and concludes with the Closing Ceremony on Sunday, Feb. 25. If you're talking times specifically, you'll want to note that, since the Olympics will be broadcast live from South Korea, there will be a 14-hour difference between local time and Eastern time. For the first time, TV viewers in all US time zones will have access to live coverage of the Games, instead of a delayed replay. There have been a few attempts to bring the popular restaurant back to Jax Beach the last couple years but this time, we think there is some real progress and renovations to an existing restaurant have begun. I am excited to announce that after some unanticipated delays, we will be opening the beloved Homestead Restaurant to a fabulous (new) location in Jacksonville Beach! The old Tomo’s Japanese Restaurant location at Penman Plaza will become our cozy, new home. For those of you who may not be locally familiar with Tomo’s, we will be centrally located in Jax Beach at Penman Plaza. 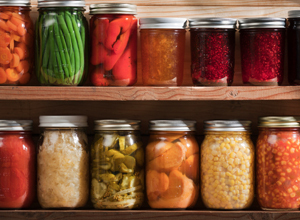 We hope you are as excited as the Homestead team is and look forward to serving you up the old Homestead favorites as well making memories with friends in the Copper Top Pub ! Scheduled opening is set for early 2018 – stay tuned for future details. Blaine Gabbert is officially done as a quarterback in Jacksonville, in my eyes at least. His play during the Rams game was atrocious and I’ve finally hit that point where I don’t think he’s going to get any better here. We’ve all got that breaking point, and I’ve finally reached mine. But you guys don’t want to hear me rant about the QB situation in Jacksonville. You want to know if the Jaguars have a chance at winning this next game. So let’s dive in. 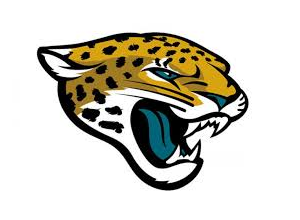 Jacksonville FL - Another week, another embarrassing loss for the Jacksonville Jaguars. Although the outcome against the Seattle Seahawks was expected, there were a few positive spots in the game. Rookie safety Jonathan Cyprien had a sack and forced fumble that was recovered and turned into points. The Jaguars managed to score two touchdowns this week doubling their total from the first two weeks. So the team is making progress, right? Right? 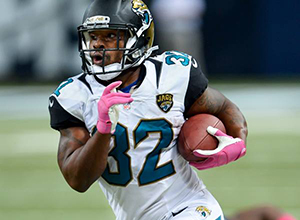 The Jaguars (0-3) host the Indianapolis Colts (2-1) at Everbank Field Sunday afternoon. This is the first home game after the long two-week West Coast road trip and this game also signifies the return of quarterback Blaine Gabbert, who missed the previous two games due to a hand injury. Also returning to the field is tight end Marcedes Lewis, who's presence will be felt on both the offensive line and in the passing game as another potential weapon for the offense. Colts QB Andrew Luck comes into the game after a decent performance against the San Francisco 49'ers (17-26, 159 yards, 1 rushing TD) looking to improve on a 1-1 record against the Jaguars. Web.com Tour Championship Players - Did you know? 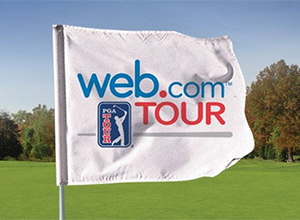 PONTE VEDRA BEACH, FL - This week 125 players will tee it up at Dye's Valley at TPC Sawgrass for the final event of the Web.com Tour Finals. The Web.com Tour Finals bring together the top 75 money earners on the Web.com Tour money list, players who finish 126-200 on the PGA TOUR's FedExCup points list and non-members who have earned enough FedExCup points based on their performance on the PGA TOUR to play them 126-200 on that list. Their statistics, rankings and finishes have been analyzed. In the chart below, we take a different look at the field and offer up a fun fact about each player that you probably haven't heard before. Jacksonville, FL (November 19) From November 5 to November 16, the Jacksonville Fair arrived and provided fair-goers many shows during the two weeks. 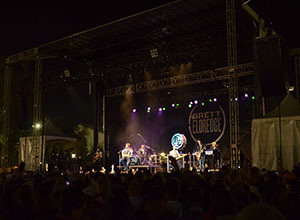 The Gator Country Concert Series also came onto the scene. It all started on Thursday November 6 with Thompson Square to kick off the concert. They opened their show with their hit song “I Got You” and performed with excellence and energy. They played their best songs such as “Let’s Fight”, ”I Can’t Outrun You”, “Glass”, “If I Didn’t Have You”, and “Are You Gonna Kiss Me Or Not”. I found their show great and a great start to the concert series. The next day was not what was expected. With a cold front coming in, many people didn’t show up to see Lindsay Ell. She is a new upcoming country artist from Canada, and was an awesome guitar player. I do wish for more female guitar pickers, and this was something new for Jacksonville. Her performance was great, and she can rock out on a guitar. Her songs that got her on country radio are “Shut Me Up”, and “Trippin on Us”. I hope she comes back when the weather is better so everybody can see how awesome she is. St. Augustine, Fla. (November 10, 2014) – Multi-platinum and Grammy Award-winning singer and songwriter Sarah McLachlan announced today that she will kick off the second leg of her North America “Shine On Tour” on February 27th in San Antonio, TX. The 24-city trek will visit major venues and cities across the country including a stop at the St. Augustine Amphitheatre on Wednesday, March 25, 2015. Tickets will go on sale to the public on Friday, November 21 at 10a.m. 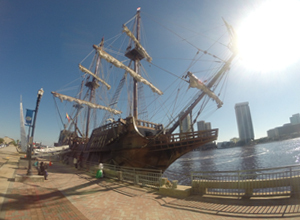 El Galeón, the 1/1 scale reconstruction of a 16th Century Spanish galleon will be docked in Jacksonville, Florida in front of the Hyatt through Veterans Day. The ship will be docked at the City Dock on Coastal Dr, and will be open for public tours from Wednesday, November 5th through Tuesday, November 11th & hours are 10am-6pm daily. Five of the six decks are available for tour, which holds an exhibition about the "San Pelayo", the Spanish galleon that founded St. Augustine, the first city in the US. It carries an all-Spanish crew of about the history to the ship and what it is like to sail on her. The ship, El Galeon Andalucia (refered to as in Spain) is a 170 foot, 495 ton, authentic wooden replica of a galleon that was part of Spain’s West Indies fleet. With information about 16th century European sailing techniques and technology, as well as important Florida history exhibits, El Galeón will tell the 500 year story since the arrival of Juan Ponce de León on the eastern shore of Florida. St. Augustine has been named El Galeón's home American port for the foreseeable future. 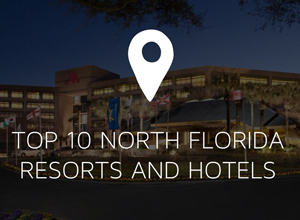 The results are in and we have put together a guide for the top 10 resorts, hotels and places to stay in North Florida. Whether you are visiting for a few days from out of town or a local looking for a quick weekend staycation , this list will ensure luxurious, clean and safe accommodations that are the best in the area! Nestled along the northeast Florida Northeast Coast in Ponte Vedra Beach, Sawgrass Marriott Golf Resort and Spa is a breathtaking destination for golf getaways, family vacations, and romantic escapes. Encompassing 63 stunning acres, their resort offers a beautiful landscape of trees, lagoons, waterfalls and views to the green fairways of the TPC Sawgrass. In addition to their 510 beautifully appointed guest rooms, golfers, families and executive groups alike can revel in true relaxation at the thoughtfully renovated Villas at Sawgrass. 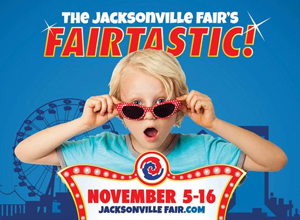 This year, the Greater Jacksonville Agricultural Fair's entertainment lineup promises something for everyone. A broad range of top performers will take the stage during the 12-day event, treating audiences to everything from classic rock, country and blues to golden oldies. All entertainment will be on the outdoor stage and will be free with admission to the Fair. VIP Seating is offered @ $10 per ticket (gate admission not included). VIP Seating is for select shows on a first come, first serve basis in a reserved area not reserved seating. If you wish to charge your VIP tickets, CLICK HERE . This link will take you to our on-line store where you may purchase your tickets. VIP tickets will not be mailed after,October 28th, they will be held for pick-up in the Fair Administration Office. - Aug 8th Friday: Join us this Friday for a special edition of Jacksonville's #1 Friday night @ Voodoo at the Jacksonville Landing after the Jags game. LADIES DRINK FREE until 12! Wear your Favorite Sports Team or show us your Game Day Ticket Stub for FREE Entry all night! ST. AUGUSTINE, Fla. (Tuesday August 5, 2014) – The St. Augustine Amphitheatre, in partnership with Southern Roots Apothecary, Small Batch Farms, The Conservatorie, The Present Moment Café, Green Harmony Aromatherapy and Silverfox Leather Shop, proudly present the inaugural “Lost Skills Workshop Series”, commencing on September 23, 2014. The Lost Skills Workshop Series is a diverse set of community-based workshops that aim to create a hands-on, skill-sharing experience that encourages creativity, community and the growth of local businesses in a unique new gathering space at the St. Augustine Amphitheatre. The Cummer was established in 1958, when art collector, garden enthusiast and civic leader Ninah Cummer bequeathed the art collection and riverfront home, which she owned with her husband Arthur, to create an art museum. Mrs. Cummer made an official announcement of the gift a year before her death, imploring community leaders to help support the museum she intended to found: “Naturally no civic undertaking can function adequately without the interest and support of the community in which it is located. Therefore it is hoped that there may be additions to the Foundation from time to time so that this Museum may rank favorably with those established in other cities in the United States during the last few decades. "On the evening of November 10, 1961, the city of Jacksonville received what would become one of its greatest gifts. 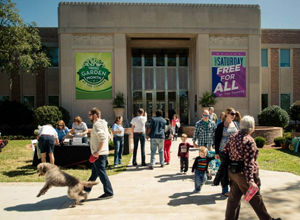 That night, more than 1,000 residents and dignitaries welcomed the Cummer Museum of Art & Gardens to Jacksonville’s cultural landscape. For years the exact location of Ft. Caroline, the first French colony has been a mystery. Historians believe the fort was located here in Jacksonville along the St. Johns but to this day until July 29th 2014, there were no positive identifications of the exact location. Earlier this year, researchers asserted the colony was located, not on the St. Johns River, but on the Altamaha River in southeast Georgia. State Rep. Lake Ray believes he and his son Lake Ray IV and Mark Lloyd may have made the discovery of a lifetime. Lake Ray announced his findings Tuesday morning at a news conference. 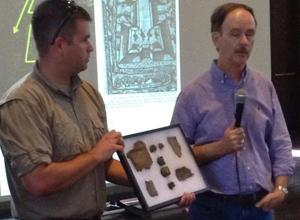 He believes their findings confirm the landmark’s Northeast Florida location along the St. Johns River. Ray, along with his son, Lake Ray IV and Mark Lloyd have been looking into this specific location now for a couple weeks. Using historical books and Google Maps, they believe they might have found a location that matched the dimensions and geographic area. Ray has asked the the area to not be reveled to prevent tampering and looting of the site. The site is being protected by the Coast Guard and National Park Service, and tampering with the site is a felony. NAS Jax Air Show Birthplace of the Blue Angels. The Dates of the air show this year are October 25th and 26th. Gates open at 9 a.m. Show begins at 10 a.m. There will be free parking, admission and Kid’s Zone and the event is open to the public. At the NAS Jax Air Show you will witness thrills like never before from a variety of military and civilian demonstrations. The new Spitfire Jet Semi will be racing down the runway at speeds more than 300 mph. 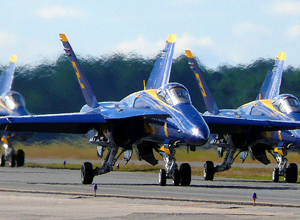 The grand finale will be the Navy’s flight demonstration team: The Blue Angels. While you are at the show enjoy military and civilian aircraft displays, shop at novelty, food and beverage booths, or head to the free Kid’s Zone for games and activities for all ages. of their craft. Their camaraderie and chemistry assure the team mission is more than just a job – it’s a passion!